The iconic animated version of the Genie was voiced by the legendary Robin Williams in original Aladdin film. However, the life action version gives an opportunity to the actor to actually act as human on instances. As featured in the trailer, Genie played by Will Smith is the big wish granter in the live action film, but to keep things real, he will also possess a human image that he will transform into while walking around Aladdin and Agrabah. With these different appearances in the film, we can assume that Genie will put on a few looks, both of which have been dropped in new Aladdin toys. 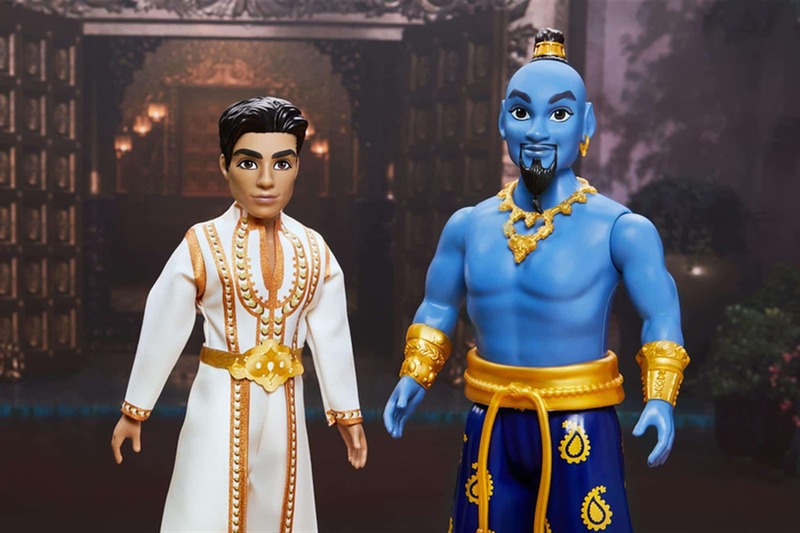 Recently, an Aladdin fan page on Instagram posted an image of the forthcoming Hasbro Aladdin toys. There are many characters that are present in the whole set, that also has two individual Genie figures. While one shows Will Smith’s version, the other shows its human side, while both have their own outfit. The toy set by Hasbro also has characters like Jafar, Aladdin and Jasmin. As you may notice, the human form Genie wears a lot more than his blue counterpart, blending in with local customs of the people. However, in his blue form, he only wears classic pants, gold bracelets and pointed shoes. Will Smith as The Genie comes as a massive departure from Robin Williams’ portrayal, as both will definitely be comapred once everything is done. During an interview last year, Will Smith revealed that he worked his best to make this character his own. “Whenever you’re doing things that are iconic, it’s always terrifying,” Smith said. “The question is always: Where was there meat left on the bone? Robin didn’t leave a lot of meat on the bone with the character. Aladdin releases on May 24.